Website design for ministries Chesapeake VA | This legacy church – ministry website developed years ago continues to generate online inquiries and support the existing church members. The website was developed in the Joomla open source framework. 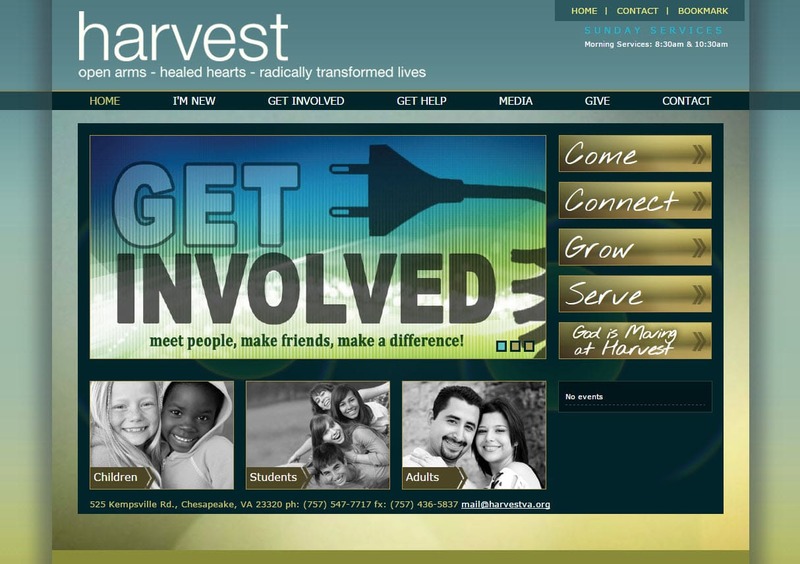 This is the 2nd redesign for Harvest VA since becoming a VISIONEFX client many years ago. When searching Web design companies Chesapeake VA look no further than the expert web design services of VISIONEFX.